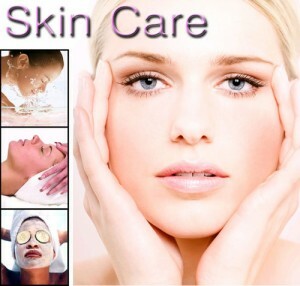 Health is based on proper diet and life style and this rule is also applicable to Skin Care. Therefore it can be said that prevention of Skin Disease depends on Healthy Diet and lifestyle. In grains try to eat wheat and barley because they are highly rich in diet. Consume rice which is grown after 60 days or one year old because it has fully grown Vitamins. Have diet fruits like pomegranate, papaya, grapes, and dates. Have full body massage with sesame oil and consume olive oil in your diet. One should take proper sleep at night around 6-8 hours and wake up early in morning. One should not control the urges of urine, stool etc. One should exercise regularly as per the capacity of body for proper exertion of sweat. Facial exercise and yoga asanas like shirshasana and suryanamaskar are more beneficial to the skin. One should do abhaynga (massage) daily with sesame oil for shiny, smooth skin with luster. It prevents the signs of aging in skin. One should apply special face packs (utsadana) with drugs like turmeric mixed with red gram, ghee and milk. It is also advised to do Nasya (medicated nasal drops) daily for shiny skin and preventing early graying of hair and falling of hair. Avoid fried items, very sour, pungent food items. Avoid using cheese in diet as it is said to be having opposite qualities to the tissues of the body and it is harmful. Avoid using strong shops and irritant shampoos. Do not drink very cold water or aerated drinks soon after exposure to heat. Avoid exposure to strong heat and cold. Avoid overuse of cosmetics and make up. Do not wake till late in night and do not have day sleep. Always eat when you are hungry and not at fixed times to avoid indigestion. we need to take many measures to avoid ageing. we need to sleep properly and eat good food, which i follow regularly. you have mentioned it well. It is very important for us to maintain a proper lifestyle to get a healthy and glowing skin. we need to eat fruits and drink juices more often. we need to get adequate sleep. all these things help us a lot. awsme knwldge..i ll follw it..